The problem I have is that when I boot the game and go in-game, everything goes well. 30 stable FPS. But after a while (specially, but not only on cinematics) this drops to 15-20FPS as the best possibility. If not in cinematics, it happens while moving or rolling. I thought that was my setup that couldn't run it correctly, but after seeing people with lower specs than me running it with even harder configurations, well, that made no sense to me. And I think that's all about my specs. This is my configuration, so maybe I just have something incorrectly selected. -> Nothing selected in ADVANCED tab. Also, I haven't reach Hyrule Fields yet, but as the wiki said, I also have activated the hyrule field hack. Finally, I have checked if the problem was my GPU or my CPU to see what could bottleneck it, and it looked like my GPU (while the drops happen) gets at 100%. 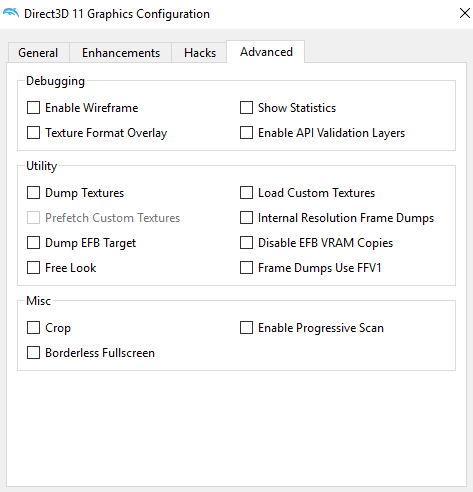 I have updated my drivers (even the GPU ones) and nothing happened. I think that's all. Thank you for the help in advance! Thank you for your answer and sorry for being this late! No, I didn't had it checked. I have enabled it and it went kind of better, but still, there are drops and my GPU gets at 100% when these drops occur. Any more options? I will try to making a fresh install and using all the default config if that changes something and trying other games and see if that happens again, because perhaps this only happen with Twilight Princess. Since you're using a laptop, it's always best to double check you've set Windows to use a High Performance power plan. It's possible that the GPU is downclocked when not in High Performance mode, thus forcing you to hit a GPU bottleneck sooner than normal. I think Nvidia's drivers also have some performance mode settings you can mess around with. (11-11-2018, 12:18 AM)Shonumi Wrote: Since you're using a laptop, it's always best to double check you've set Windows to use a High Performance power plan. It's possible that the GPU is downclocked when not in High Performance mode, thus forcing you to hit a GPU bottleneck sooner than normal. I think Nvidia's drivers also have some performance mode settings you can mess around with. Okay. You were absolutely right! I had the high performance mode activated but in the nvidia control panel configuration there were a configuration option that was chosen to something like "low-consumption" or "low-powered" (I am not sure how is it in english, sorry!). -> Check my power plan (I'm using a laptop), and see if it was "high performance", and well, in my case, it was. (In the LEFT PANEL) "3D Configuration" > "3D configuration control" (the second option) > "Energy control mode": "Maximum preferred performance" > Apply. And that was all. 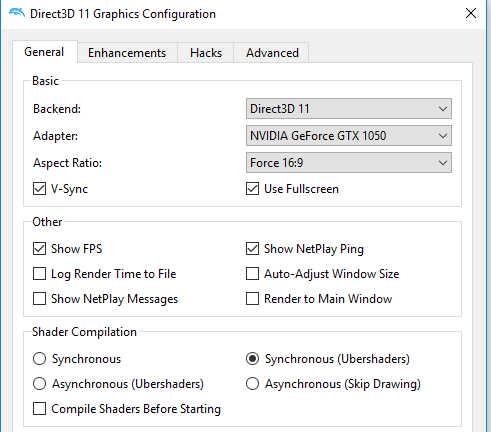 In MSI Afterburner, before changing this option, the GPU base speed was of 139MHz, but after changing it, the base speed went to 1354! So thank you both of you for your help. I haven't tried in a long period if drops happen, but the little time I could have tried, it worked perfectly. Sorry for double posting. It's not solved yet. Even the GPU clock speed improved for about 10 times, if I put Twilight Princess into 1080p, even the intro goes slow and gets a maximum of 25FPS. And yet again, the GPU gets at 100% when this occur. I havent tried for other games. Perhaps it's just the only one. I will try a fresh install from dolphin and using the default configuration and try other games, but any advice or ideas would be perfect! (11-11-2018, 08:02 AM)Enlapse Wrote: Sorry for double posting. It's not solved yet. Even the GPU clock speed improved for about 10 times, if I put Twilight Princess into 1080p, even the intro goes slow and gets a maximum of 25FPS. And yet again, the GPU gets at 100% when this occur. I havent tried for other games. Perhaps it's just the only one. Well, that´s expected since you´re using Synchronous Ubershaders. Your GPU won´t handle higher IRs because it´s already being maxed out just by using it. Async Ubershaders are more than enough (provided you always use D3D). No stutter and no GPU choking. 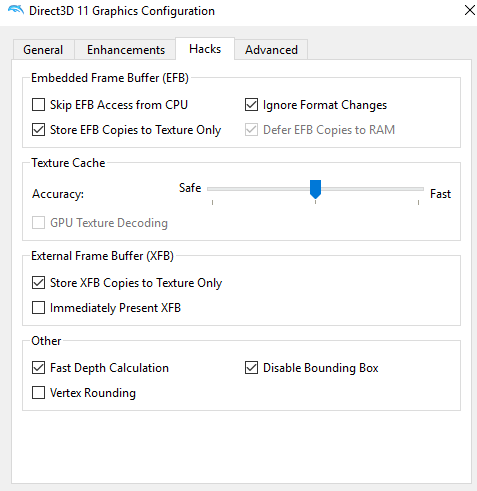 Try enabling "Skip EFB Acess to CPU" as well. Twilight Princess (GC) runs perfectly at 100% speed with no game-related issues @720p and 2x MSAA on my system (take a look at my profile for my specs). After enabling this you should be able to run the game at a higher resolution and with more anti-aliasing considering you've got a more powerful PC. Also a couple notes: My GPU runs at 80% usage, and I'm using Dolphin 5.0. 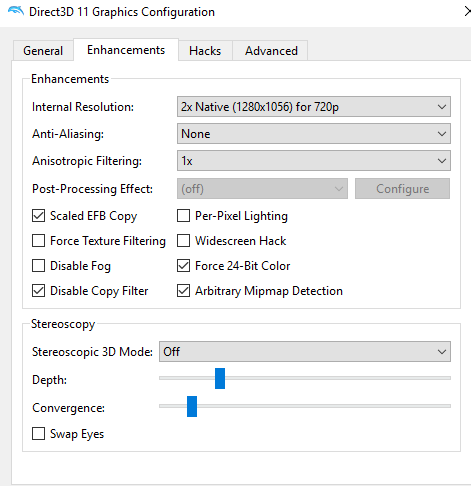 Your GPU shouldn't be running at 100% with just 720p; considering mine is a lot worse than yours. (11-11-2018, 10:21 AM)DJBarry004 Wrote: Well, that´s expected since you´re using Synchronous Ubershaders. Your GPU won´t handle higher IRs because it´s already being maxed out just by using it. This config looked like it was the answer. After changing it to Asynchronous Ubershaders, I could play the game at 1080p@30fps using about the 15% of the GPU. (11-11-2018, 12:19 PM)Glen707 Wrote: Try enabling "Skip EFB Acess to CPU" as well. Twilight Princess (GC) runs perfectly at 100% speed with no game-related issues @720p and 2x MSAA on my system (take a look at my profile for my specs). After enabling this you should be able to run the game at a higher resolution and with more anti-aliasing considering you've got a more powerful PC. I have used what you said, but multiple options doesn't look to appear in my Dolphin build (the latest), because you are probably using the stable version. Thank you anyways! -> Change the ubershaders config to asynchronous ubershaders. And that looked to help a lot! Now I can run Twilight Princess at 1080p perfectly!